When 2010 Ambassador Sara was diagnosed with Wilms tumor in 2008, it was a birthday surprise her family did not expect. 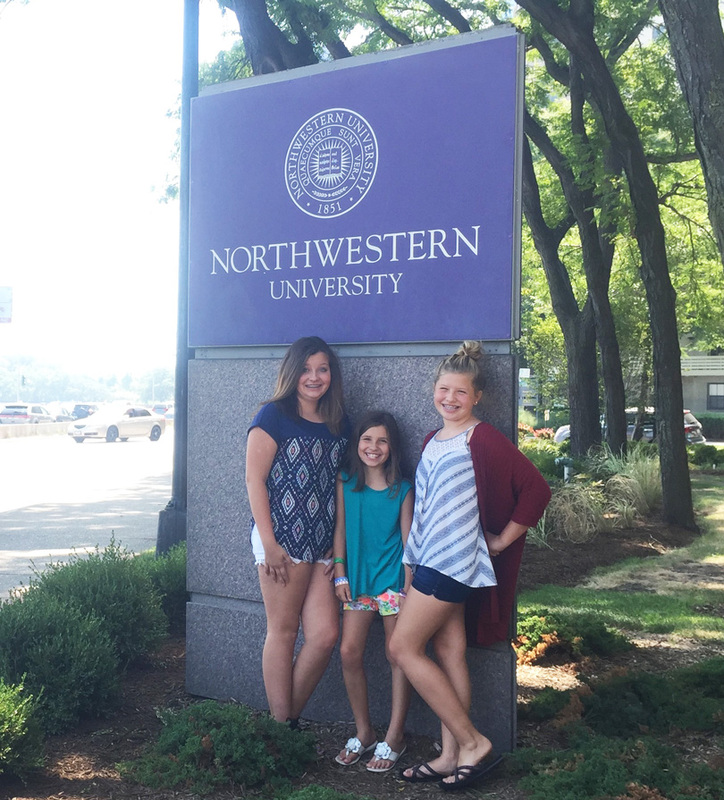 The now healthy 11-year-old and her family are still committed to fundraising for childhood cancer research, and they recently took a trip to Northwestern University to visit the St. Baldrick’s researcher her Hero Fund is helping support. Her mom tells the story below. 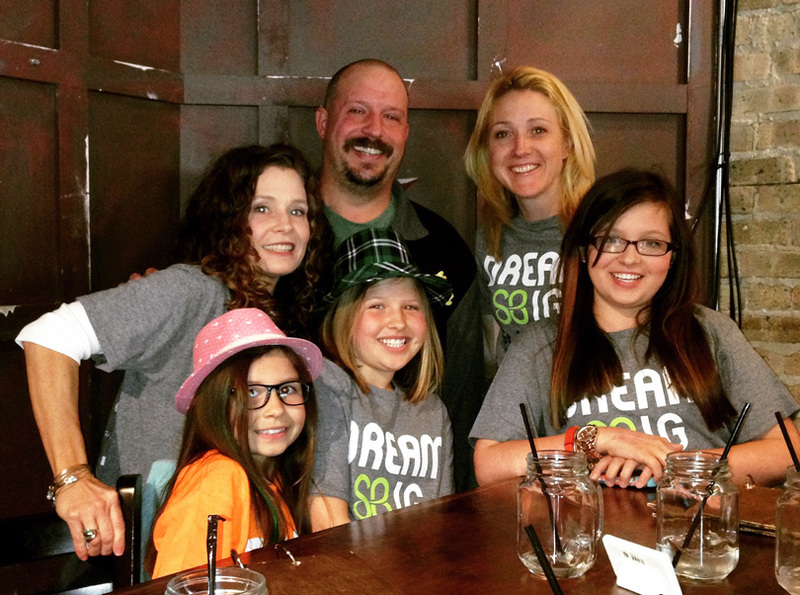 Sara, bottom left, and her family at a St. Baldrick’s event in 2013. 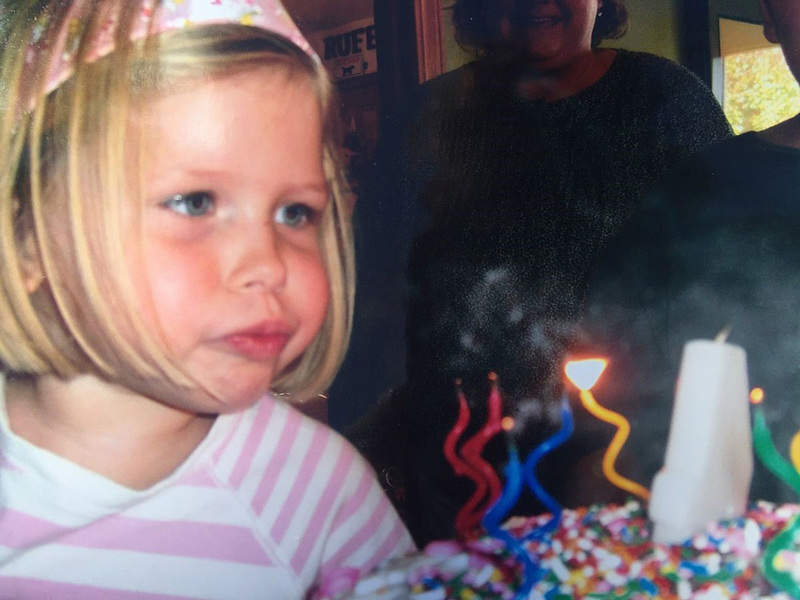 I feel sick with guilt looking at this picture of our daughter Sara blowing out her fourth birthday candles. 29 days later, cancer barged into our home and attacked Sara. 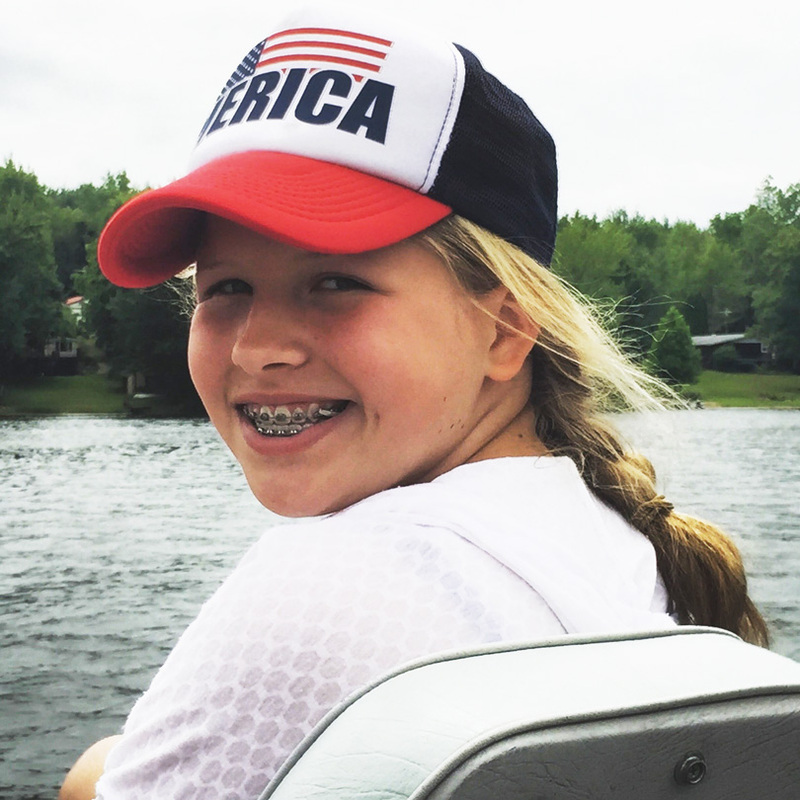 “Stage 4 Wilms tumor kidney cancer… It spread to her liver and lungs,” the doctor said. Cancer was growing inside of Sara’s body and I was blowing up balloons and making birthday cake. I did not see cancer coming. Cancer doesn’t knock on your door and ask to come in. Cancer sneaks in, settles itself, and waits. 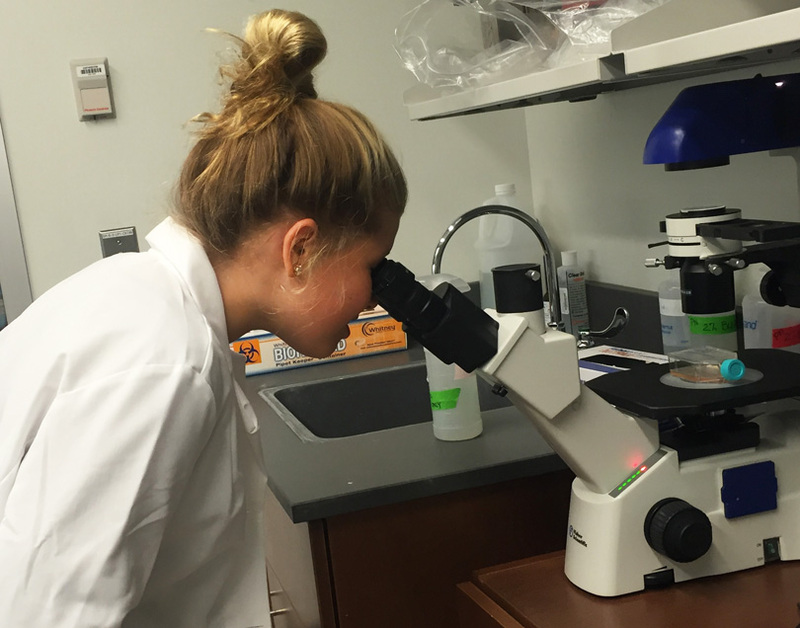 Treatment to kill the cancer rapidly invading Sara’s body began immediately. Three surgeries. 13 radiation treatments to her lungs, abdomen, and pelvis. 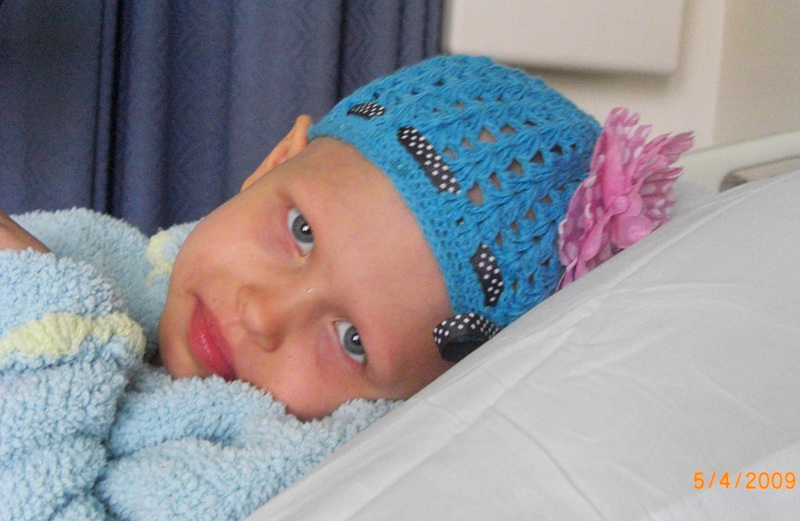 33 weeks of five different chemotherapy drugs pumped into her little 4-year-old body. 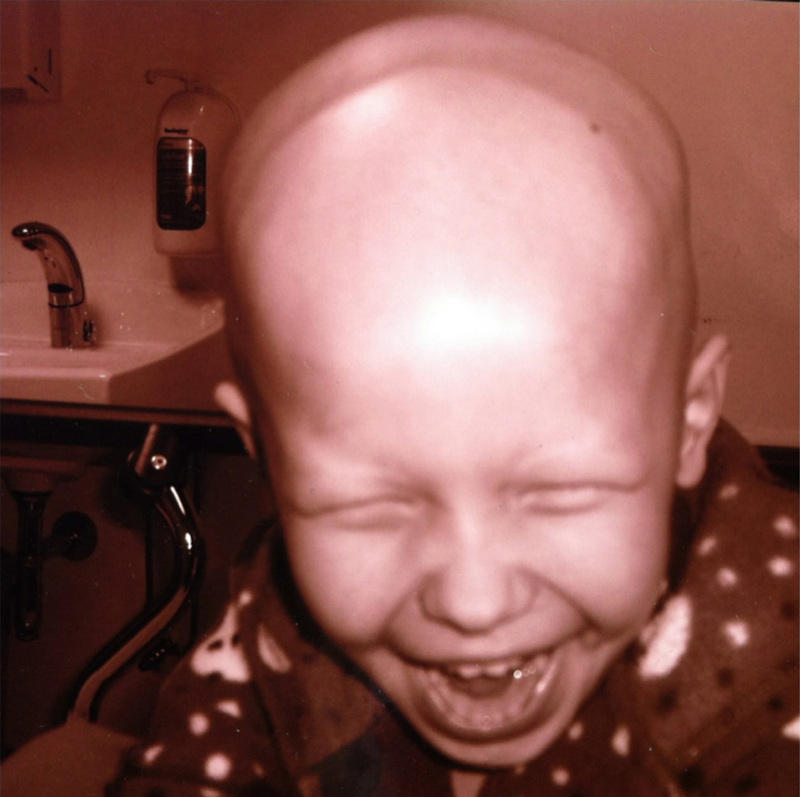 Cancer stole her hair, her eyebrows, her eyelashes — but never her smile. A sweet reminder from a 4-year-old girl: There is always something to smile about. Fast forward seven years and our family is in a much better place. Sara’s 12 years old and cancer free, and we’re happy and grateful. Cancer left our house, but we continue to support finding a cure for childhood cancer. 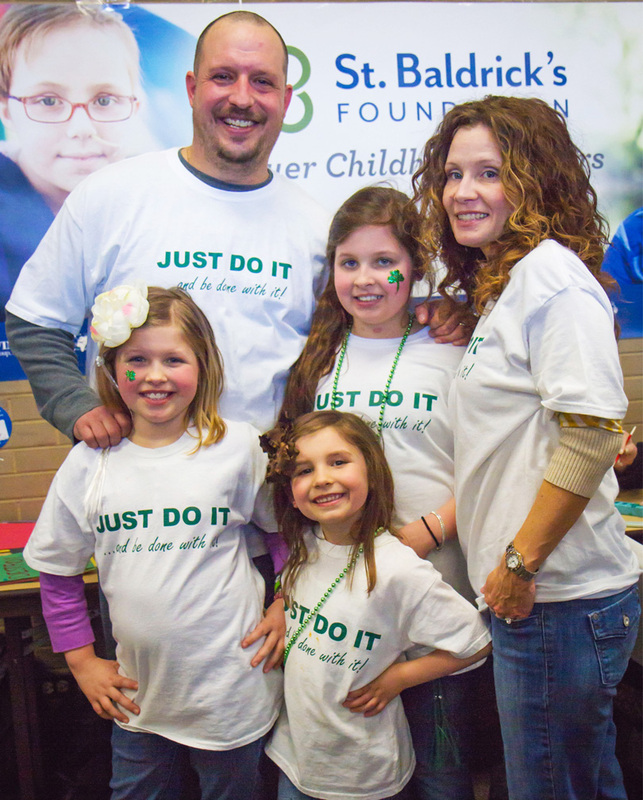 Inspired by Sara and with the support of family and friends, we created the Just Do It… and be done with it St. Baldrick’s Hero Fund. With our Hero Fund, we’ve been able to track our fundraising and personally choose which childhood research grant to support. This summer, we funded our second St. Baldrick’s research grant, supporting Dr. Panos Ntziachristos and his acute lymphoblastic leukemia research team. 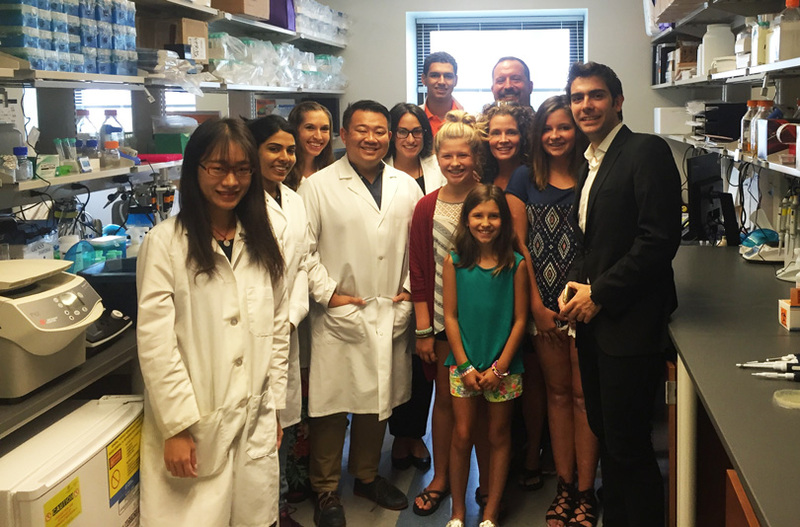 And in August, our family spent an inspiring and memorable day visiting his lab at Northwestern University. Sitting together in Dr. Panos’ office, we listened intently as he explained his research to our family of five. As we asked questions, he became more excited. Excited to share where his research has been, where he wants to see it go, how his experiments work, the lab he works in, the fancy equipment he uses, and the group of amazingly dedicated people he works with. In Dr. Panos’s office, I saw: Oversized computer screens, many books, framed family pictures, a picture of Sara tacked up on his bulletin board, and a big dry erase board with what looked like a football coach’s playbook — quick scribbles, circles, lines and arrows. I thought: We’re meeting a Clark Kent — a superhero in a lab coat. I realized: There are two types of cancer doctors. The cancer research doctor. The doctor whose name you don’t know. Who you will likely never meet. Who speaks so passionately about their research it’s mesmerizing. Who uses scientific words you can barely pronounce and could never spell. Whose work is trial and error, whose job is to find the right recipe to kill the cancer and save the child. 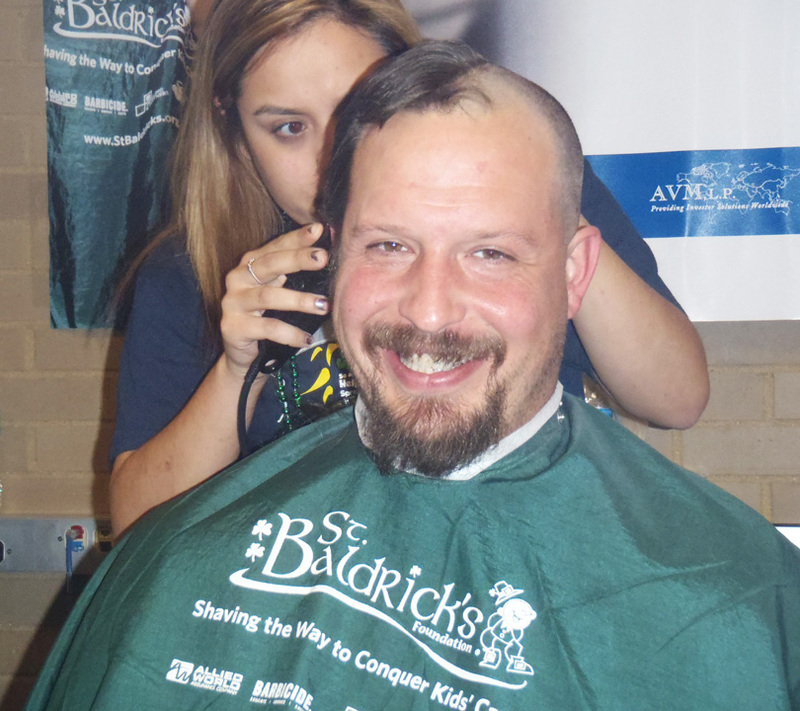 This St. Baldrick’s Hero Fund experience provided a unique connection between the cancer research world and the cancer patient world. It’s a rare but valuable experience for “behind-the-scene” research doctors to meet a childhood cancer family — to see the people affected by their endless hours spent in the lab. And it’s equally special for a family like ours to see firsthand how the money we’ve worked so hard to raise is being put to use — to save the lives of children like our daughter Sara. Feel-good moments like that day fuel our family’s commitment to continue talking about the importance of childhood cancer research. 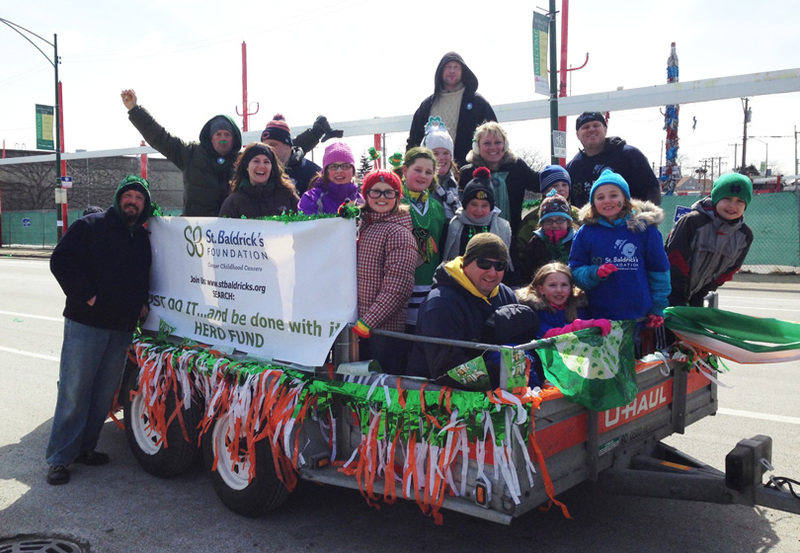 Thank you, St. Baldrick’s, for adding another page to our family photo album. 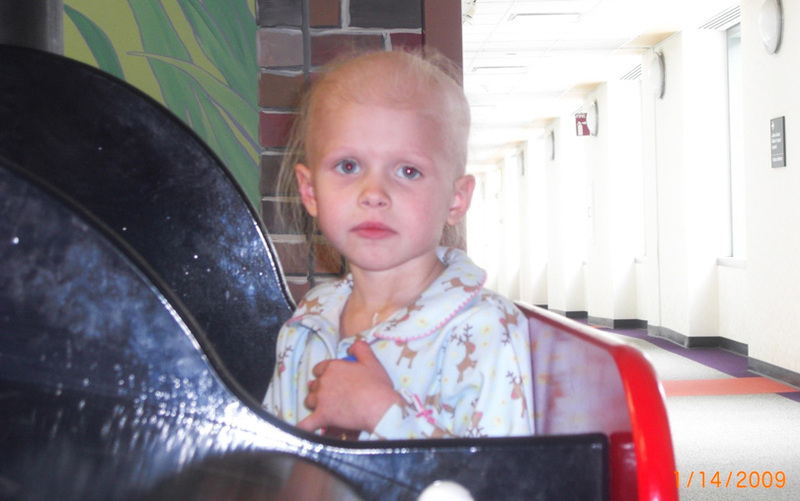 Help Sara and her family raise money to for better, safer cures for kids with cancer. Donate on her Hero Fund page.